Place all ingredients in a large soup pot. Bring to a boil, then turn heat to low, and cook, covered, for about 1 hour, or until lentils are soft. Season with salt and pepper. 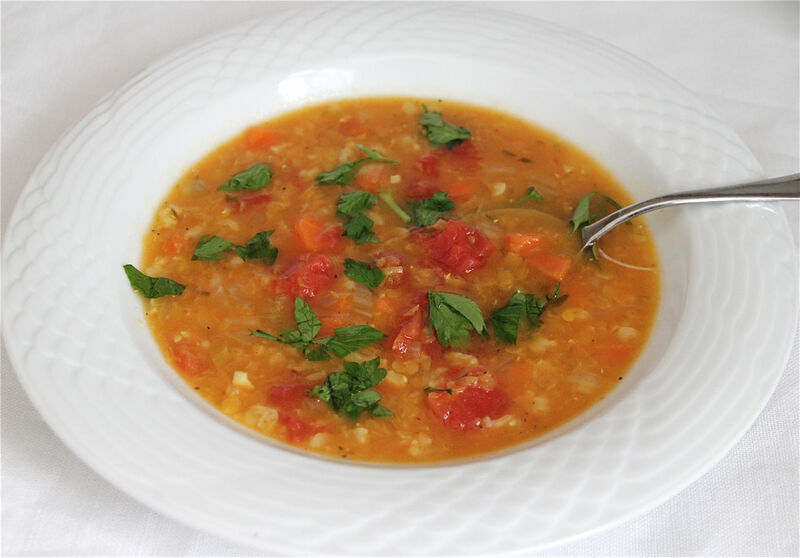 I've made this anti-cancer soup lots of times for friends with cancer. Freezes well.